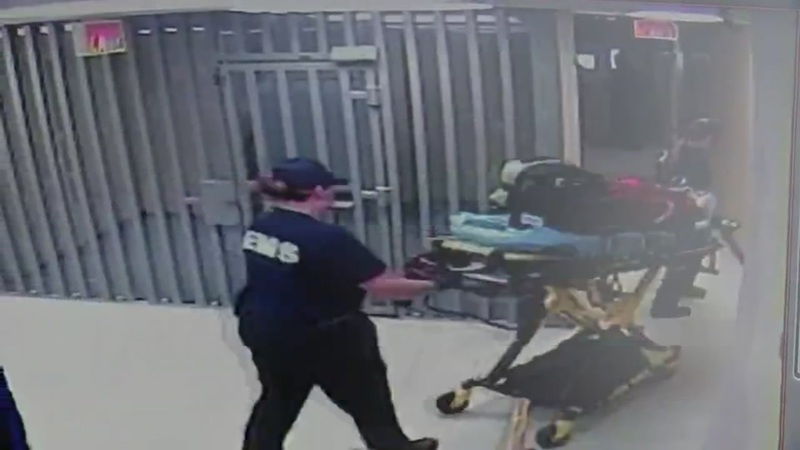 The Waller County Sheriff's Office released video footage from inside its jail in the days leading up to the death of a woman inside a cell. 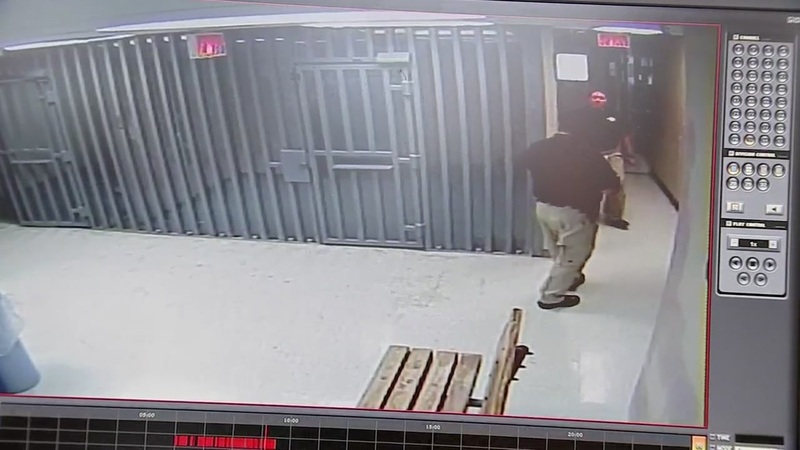 HOUSTON -- Video inside the Waller County Jail recorded the day that Sandra Bland died in her jail cell shows a jail guard look inside the cell, then run for help. Bland's body was found, according to the sheriff's office, with a plastic trash liner bag tied around her neck. It was said to have been affixed to privacy partition in the cell. According to the county's timetable, a guard had looked inside her cell about an hour before, and said Bland told her "I'm fine." She also asked how to make a phone call from her cell. Those may have been the last words she spoke to anyone. There are several investigations into the arrest and now death of the 28-year-old Prairie View A&M grad, who was about to start working at her alma mater. The FBI, DPS, District Attorney's Office, and Sheriff's Office also all conducting their own probes. The Bland family and several ministers are calling for the Justice Department to launch one as well. "This was not a case of suicide, but homicide," said Reverand Jamal Bryant, of the Empowerment Temple AME Church of Baltimore. He was in Hempstead he says at the request of the Bland family. What was expected to be released Monday was DPS dash cam video of Bland's arrest near the college campus on July 10. Its release was delayed pending an opinion from the attorney general, but it's expected it could be made public in the next few days. The district attorney said no inconsistencies were found between what the trooper said happened during Bland's arrest after a traffic stop and what the video shows. Bland's family and supporters believe she was profiled as part of the traffic stop and was arrested without cause. She was charged with assault after the arrest. Her family also commissioned an independent autopsy. Results may be made public Tuesday.